When child can read booklet well they may color it! A list of vocabulary words used in each booklet appears on the back cover of the booklet. If you would like the file of vocabulary words for one series or the other (formatted to print onto 3x5 note cards) simply email me and I will be happy to email the file to you. Free! Products designed to bring every child to success. ~ AND NOW - Christian Emergent Readers!! **NOTE: The cart/checkout page is secure. Introducing myself: My name is Mary Ann Walden. 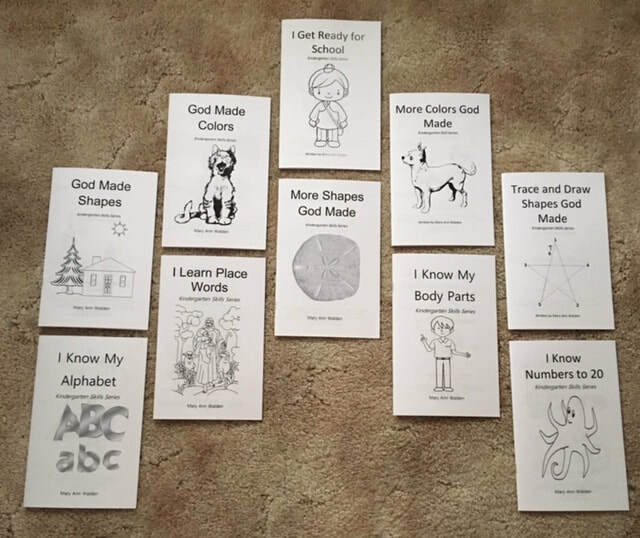 I'm a christian educator of 33 years experience, 27 of them in various combinations of PreK - Grade 10, having taught one-room schools for eleven years. Yes, that's all eight grades in one room, just like early American schools. Mental whiplash all day long! The last six years of my teaching career were spent training future christian educators at a private college in Arkansas. Most satisfying job I've ever had! 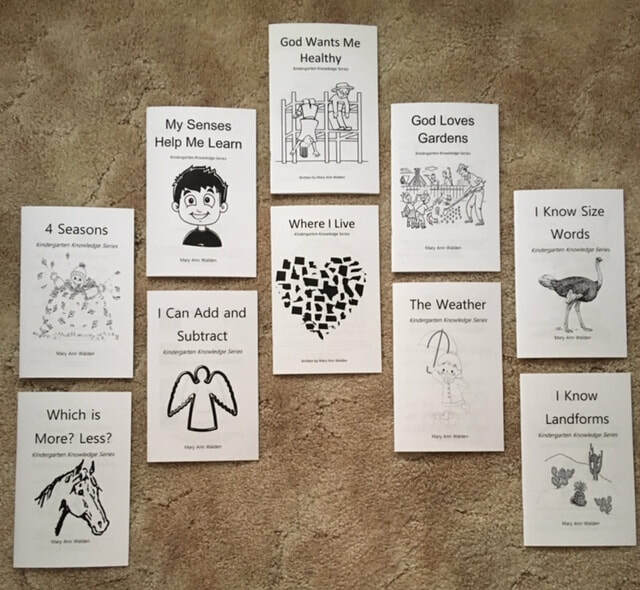 Recently retired, I am writing books aimed to enable children to fall head-over-heels in love with God. Ever since a colleague introduced this very-reluctant-to-touch-a-computer teacher to technology I've thoroughly enjoyed developing teaching resources and devices to enhance the learning of my students. This site showcases (and hopefully sells) a few of the items I've developed that have been especially beneficial to my students. (I will be developing new products from time to time, also, as the Lord inspires and leads. Several years ago the school in which I was teaching downsized and I was out of a job. "What to do?" We loved our home and our church so didn't want to move. The Lord gave me the idea of marketing some of the products I had developed and used with such success in my classroom. Few new businesses are lucrative during the start-up phase, mine was no different. Thus, the name: Walden (my last name), Wonders (It's a wonder how we're going to pay the bills, and it's a wonder what God's going to have me doing next.). God blessed and met our needs during the entire start-up process. Praise God! * Unfortunately, I can only ship within the USA. ​**NOTE: The cart/checkout page is secure.